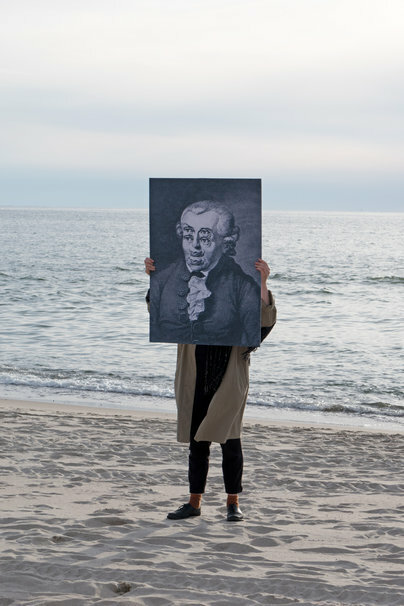 “There are two worlds: the world as we see it and the world of the things per se.” Together, students at the HfG Offenbach and at Vilnius Academy of Art deal with the philosophical contemplations of Kant (1724-1804). The focus of this class is to tie in both visually and verbally with his ideas and to find contemporary references to his cognitive science in the form of posters. From May 29th to June 5th 2017 students met in Vilnius for a week-long workshop and at the academy's studios in Nida. Vilnius Academy's guest houses in the Kurische Nehrung are close to the Russian border. Königsberg (Kalinigrad) the centre of Immanuel Kant's life, is only 80 kilometres away. The results of the workshop were presented publicly on the beach of the Baltic Sea and in the forests of the Kurische Nehrung. The class was looked after by Prof. Audrius Klimas, Felix Kosok and Prof. Klaus Hesse. With 1 million inhabitants Jingdezhen is considered a small town by Chinese standards. 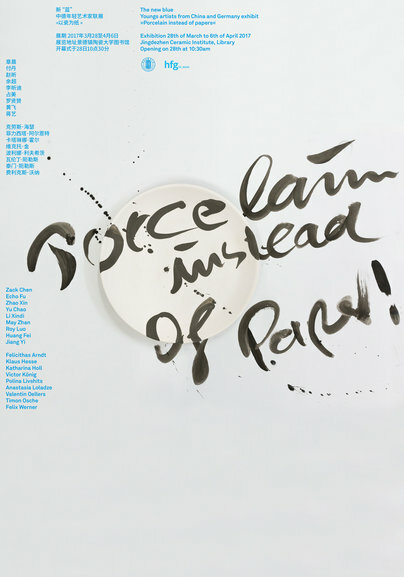 Nonetheless, it continues to be the Mecca of porcelain art with a global reach and charisma. For 2,000 years now high-quality tableware and objects have been designed, painted and fired here. 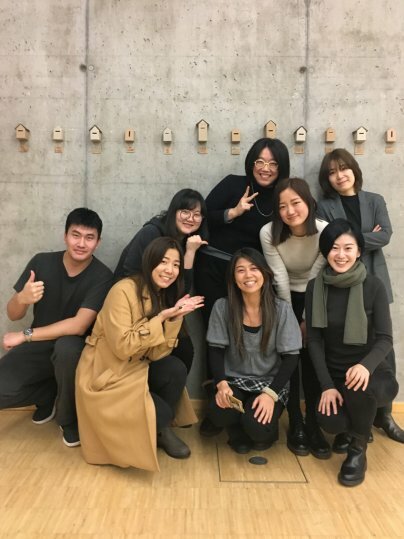 In March 2017 eight students from HfG supervised by Zack Chen and Prof. Klaus Hesse spent nine days there on a study tour. 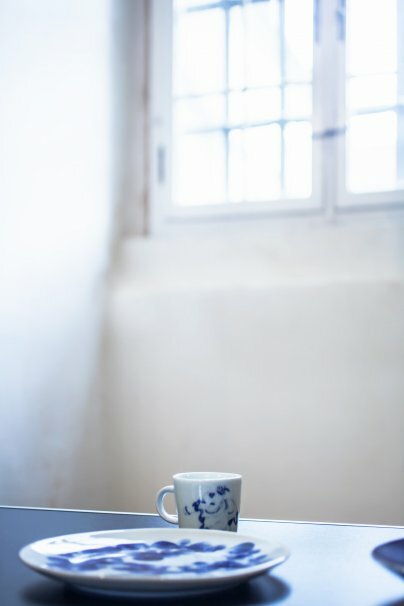 HfG students produced over 200 porcelain objects in the blue color typical for traditional Chinese porcelain art in the studio of Zack Chen (a teacher at Jingdezhen Ceramic Institute). However, the objects differ greatly from the Asian patterns and illustrations familiar to us. 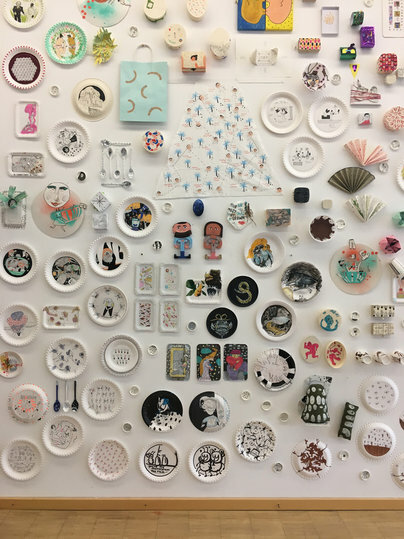 The HfG students used the blank plates, dishes, vases and mugs like paper or a sketchbook. They drew stories with ironic detachment or created what were sometimes touching illustrations to suit the form of the objects. Under the title “The New Blue – Porcelain instead of Paper” the objects were presented at the end of this intensive working week in the exhibition gallery of the renowned Jingdezhen Ceramic Institute, where they were very well received.